The holidays were fun but it feels good to be back in the shop! 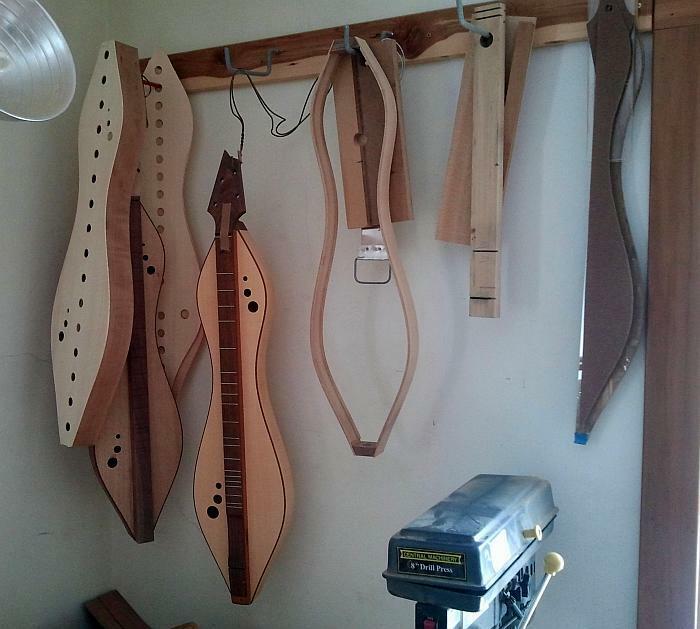 I’ve started work on two baritone and two standard dulcimers. I also have two standard dulcimers to complete that I began late last year. I’m designing some new instruments I hope to start making this year. I’ll post details as they develop. Thanks so much for the kind words, Vickie. I wish you and your family the best for the new year too! I admire your talent, dedication and ability to build beautiful instruments Doug. Hope that 2012 is the best year yet for you and your family.